Are you sure this is HKLM? I don’t even have a Research In Motion entry under software. Or is this under HKCU? This did work. It reduced the delays from 1 hour for some users to either instant or a few mins. 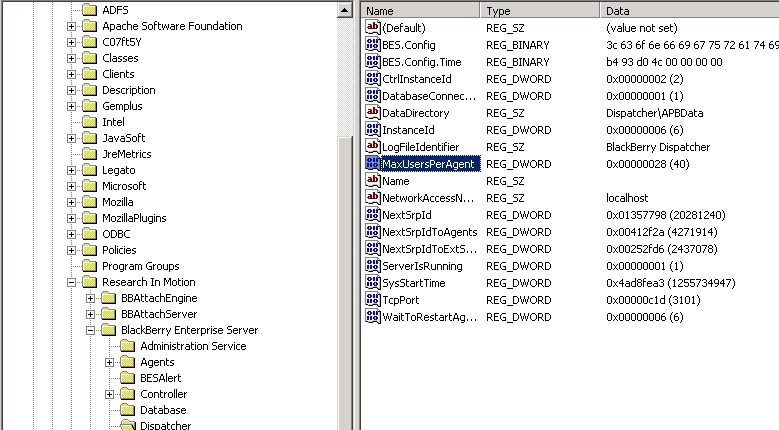 I have BES 5 and Exchange 2010 in a DAG so its pretty much exactly as you say. 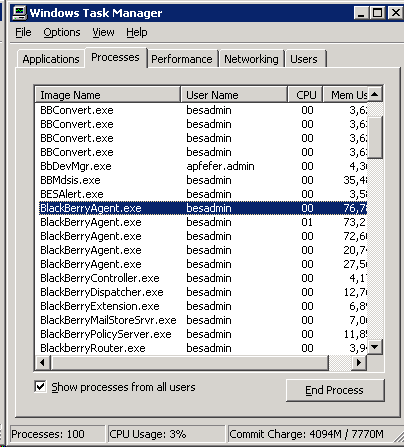 The only problem I have is, in task manager I can only see three BlackberryAgent.exe processes and not 5 as you say. I have set the NumAgents to 5 (already was at that though). For now its better but id like to try to have the agents increased if anyone have any ideas? AND delay is down from 10 mins to 1 min.